Did you catch my last post featuring these mom jeans? 'The Tacky One In The Friends Cast'. No? What are you waiting for, go check it out! It was requested that I put together a post on how I style mom jeans, so I decided do try something a little different. Hope y'all like it! My fave out of the three, this outfit basically says 'Yeah my clothes are slouchy, but I'm still looking rather cool (if I do say so myself)'. Literally, just dig out your biggest and most comfortable tee. Zero effort required. My beloved Pink Floyd tee has been called upon one to many times in this instance, and has grown smaller in his old age. How sad. Confession time - this bralet ain't all what it appears to be. There's actually a black lace bandeau camouflaged in, just underneath the bralet... I wanted it to be longer, okay! It is basically a bra on it's own. If you read my last mom jeans post, you would know that this is, in fact, a men's shirt. From the men's section. Seriously, buy stuff from the men's section, it works so much better if you want something to be over sized. I definitely feel like a 90's mum in this outfit. Or like I should be in Friends. Or both. Not much to say, other than that! I want to know how you like to style mom jeans, let me know in the comments! Love this style of editing, amazing and the looks are gorgeous as well. You rock them all - I love it! I think I would most likely team it like you have in the 'slouchy' way, as I love a good tee and slip-ons. I haven't had mom jeans in forever, so I think I may need to invest in a few pairs soon! 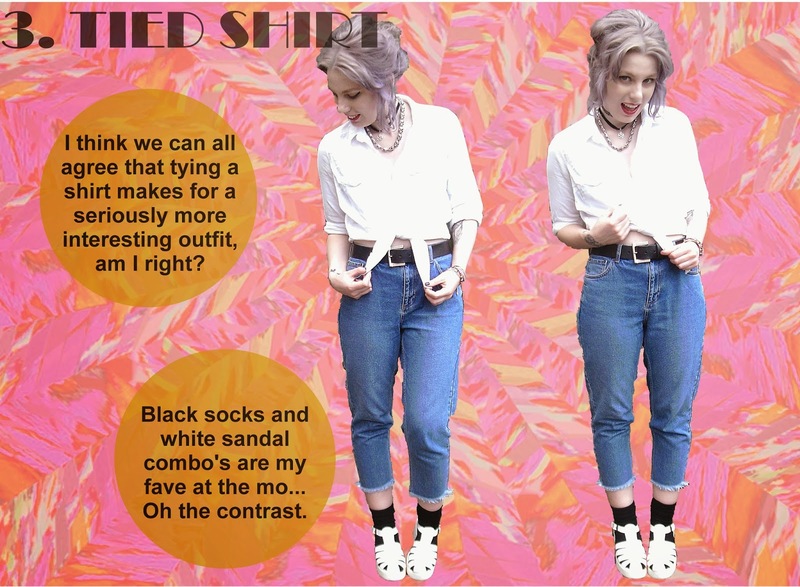 Love how you've styled the jeans - the 3rd outfit is my favourite! Would you like to join my Student Box Swap (UK college and university students only)? Check my blog for more details! and I study Psychology too! I love the black slip-ons!! haha i have a pair that i wear frequently, must sometimes im not entirely sure if i like them or not! I really love the bralette one- that definitely takes it out of the mom zone :) And the tied shirt one looks just plain adorable. The third look is my favourite although I feel the same about showing some boobage! The bralet looks so cute! I was wondering about the length for a moment while looking at the pictures at H&M.com until I read your comment below the picture. So clever! Love this post! My favourite has to be the slouchy look! I really liked how you took mom jeans, and made them grungy cool and vintage inspired! It would be even better if it had some rips and shreds to them as well, kinda like in the same way how you would have distressed boyfriend jeans that is commonly seen on celebrities and models who are off-duty! I once saw another blogger dress up mom jeans and she had on really bold accessories to wear with it and a plain shirt and it looked pretty good! Love all this styling, just fab! The second one is y favourite but you look gorgeous in all outfits! These are good tips, especially the men buying section one, EVERYONE needs to skim through men section once in a while! I love this post! The second look is great! Yay for mom jeans! Love these on you! I need to dig out my mom jeans asap. 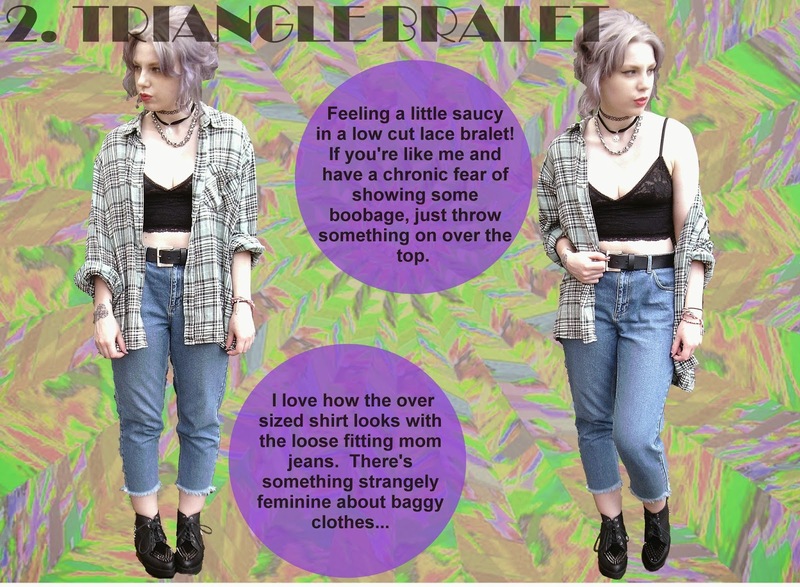 Great styling tips, I have recently ventured into the world of Mom jeans so this is very helpful! Love the first outfit! I love this, three great looks! Haha loved the Friends reference - I thought that look reminded e of something! I've always been a bit scared of mom jeans, but they look so great on you, and its definitely nice to have a couple of styling idea in my head for if I did decide to take that plunge :) thank you for this post. Love the way you've styled these! Thank you for doing this post! It was really helpful! Might be getting s pair of Mom Jeans soon! oh my goodness, you look great! Love the way you've styled these. Also, I love your hair!